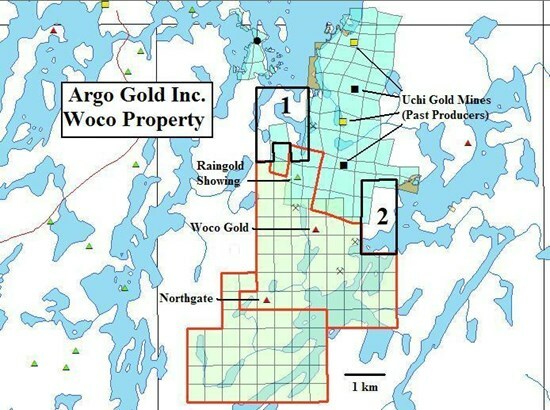 Toronto, Ontario--(Newsfile Corp. - February 11, 2019) - Argo Gold (CSE: ARQ) (the 'Company' or 'Argo Gold') is pleased to announce the staking of additional claims, expanding of their 100% owned land package, Argo's flagship Woco Gold Project, located 75 kms east of Great Bear Resources' Dixie Project, outside of the Red Lake Gold District. Except for statements of historic fact, this news release contains certain 'forward-looking information' within the meaning of applicable securities law. Forward-looking information is frequently characterized by words such as 'plan', 'expect', 'project', 'intend', 'believe', 'anticipate', 'estimate' and other similar words, or statements that certain events or conditions 'may' or 'will' occur. Forward-looking statements are based on the opinions and estimates at the date the statements are made, and are subject to a variety of risks and uncertainties and other factors that could cause actual events or results to differ materially from those anticipated in the forward-looking statements including, but not limited to delays or uncertainties with regulatory approvals, including that of the CSE. There are uncertainties inherent in forward-looking information, including factors beyond the Company's control. The Company undertakes no obligation to update forward-looking information if circumstances or management's estimates or opinions should change except as required by law. The reader is cautioned not to place undue reliance on forward-looking statements. Additional information identifying risks and uncertainties that could affect financial results is contained in the Company's filings with Canadian securities regulators, which filings are available at www.sedar.com.